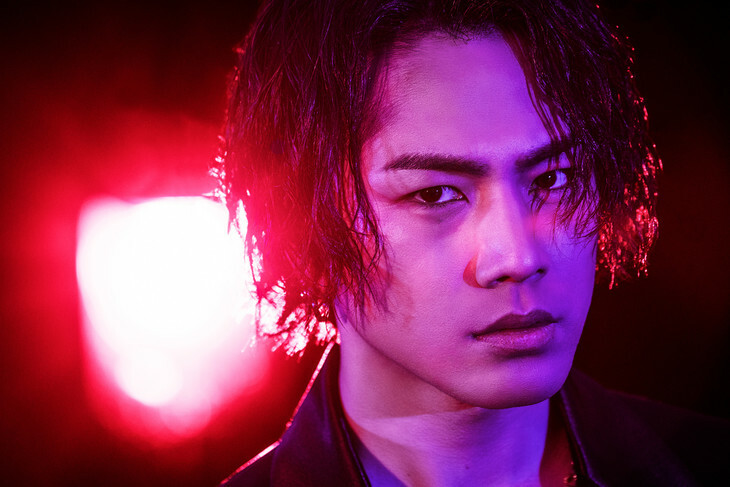 One of the lead vocalists for Sandaime J Soul Brothers, Hiroomi Tosaka, has released the MV for his latest offering LUXE. His third digital single overall, he collaborated again with the Dutch DJ Afrojack who also produced his first two digital singles WASTED LOVE and DIAMOND SUNSET. Tosaka is also joined this time by his fellow Sandaime J Soul Brothers member ELLY, who is going under his rap moniker CRAZYBOY. The two helped contribute to the lyrics of LUXE. The cinematic like MV starts with Tosaka kissing a woman with a shaved head, and transitions into what looks like a gang about to start a fight. For this MV Tosaka played around with his image a lot, donning a long silver wig in some scenes and a sinister looking rabbit mask. Some scenes also feature him in a red room surrounded by knives covered with blood and wounds. The end of the MV has a scene that has been creating a lot of buzz, and disparity among JSB fans. Tosaka enters a room with awards from various music shows, he then proceeds to destroy them all with a baseball bat. He then does a finger gun motion to his head and disintegrates. Many are finding it a little disrespectful, and are not completely sure what he is trying to convey here. While others are saying we shouldn’t really look that much into the scene. Tosaka’s debut studio album is scheduled to be released in the first half of 2018. Watch the full MV for LUXE below.